Tiger eye protection bracelet, against the evil eye and black magic. 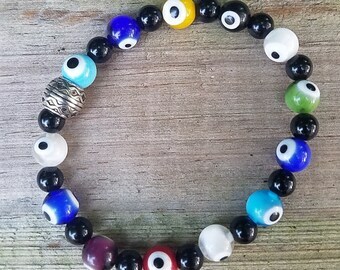 Evil eye bracelet. 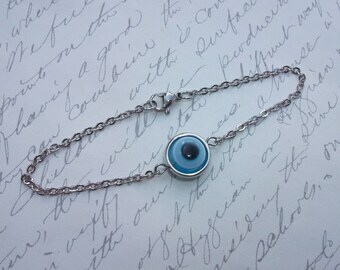 Blue evil eye bracelet. 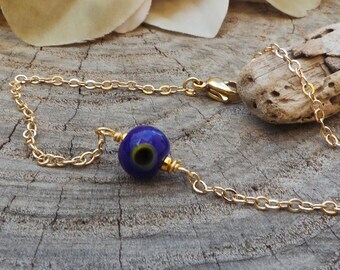 Dainty evil eye bracelet. Protection bracelet. Dainty bracelet. 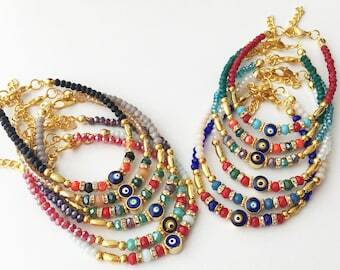 Stacking bracelet.